Join us Sat. Sept 30th, from 3-5 at Barre Kailua Studio. 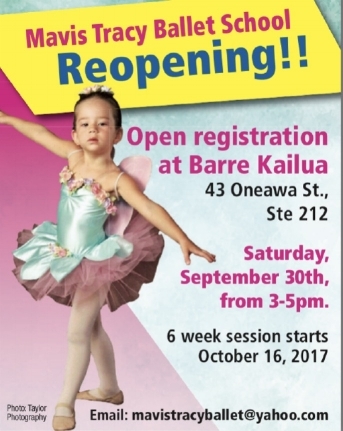 To meet and sign up for our 6 week preview Ballet classes as well as meet our Ballet Instructor, Katie Mcglinn. Mahalo! Someone will get back to you asap !